This team is responsible for converting 3D CAD drawings to designs for templates and programming machines to cut, grind and print flat glass. Designing measurement setups is also part of their job. This team cuts, grinds and drills holes into flat glass. It manages a stock of approximately 200 tons of glass and has 2 CNC cutting lathes, 3 CNC grinders and a water jet for more complex shapes. All processes are two-dimensional. Furthermore, the department has its own water treatment plant. 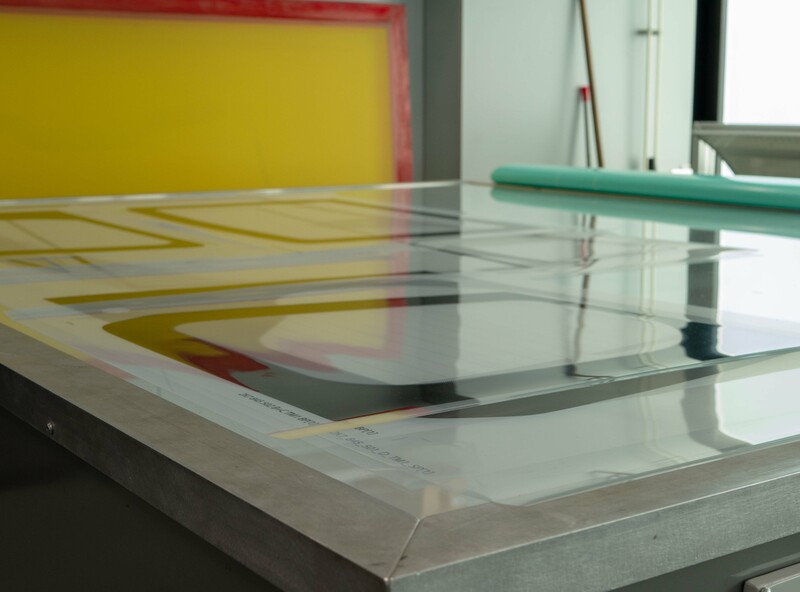 This team takes care of all the steps necessary to apply a ceramic layer to glass: from applying the photosensitive emulsion and exposing the screen printing frame to printing and cleaning. Printing glass is very important for the design of a car, but a functionality can also be added. 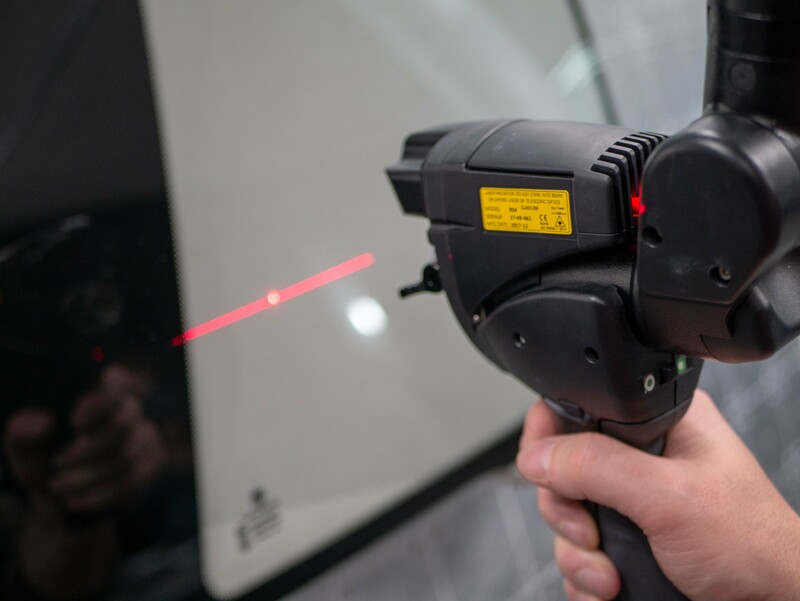 These can include the lines of a rear window heater or a car alarm element that is printed on glass with special conductive paint, for example. 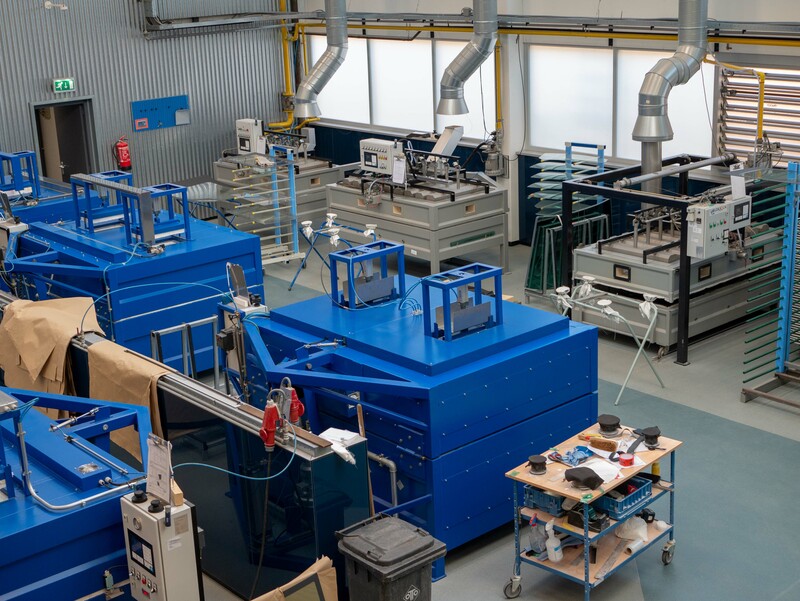 This team has 17 glass bending ovens to get glass in the desired shape. The windows are put together with synthetic material, creating safety glass. 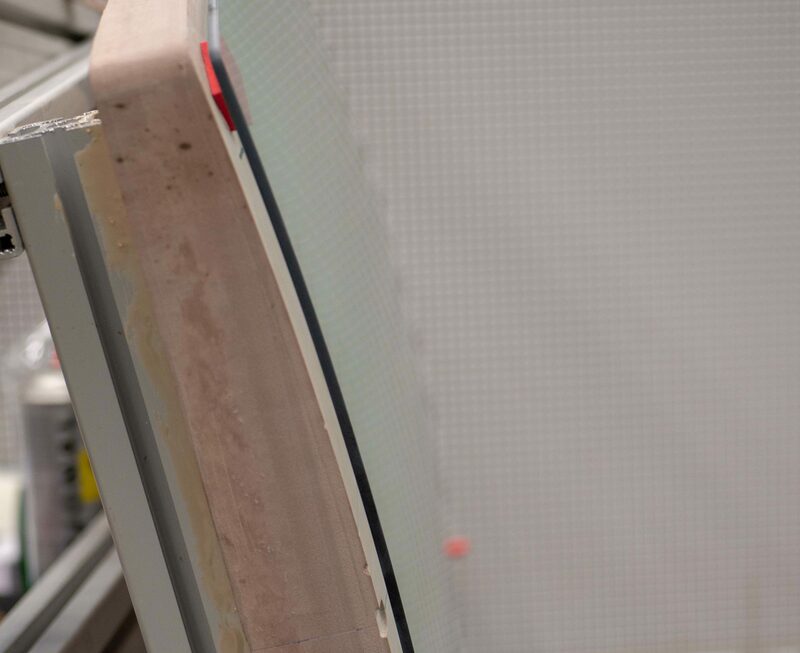 Laminating is done in a climatised and dust-free room, after which the window goes through an autoclave process. Various techniques can be added to the laminate, such as radio antenna, heating, infrared absorption or reflection. Tension is added to the flat and bent glass in a balanced way in the heat treatment center. Not only does this make the glass six times stronger, but in case of breakage, the window will fragment. Fragmentation in case of window breakage prevents injury and therefore falls into the category of safety glass, just like laminated glass. The heat treatment center currently has four hardening ovens. All of the produced windows are checked by this team. 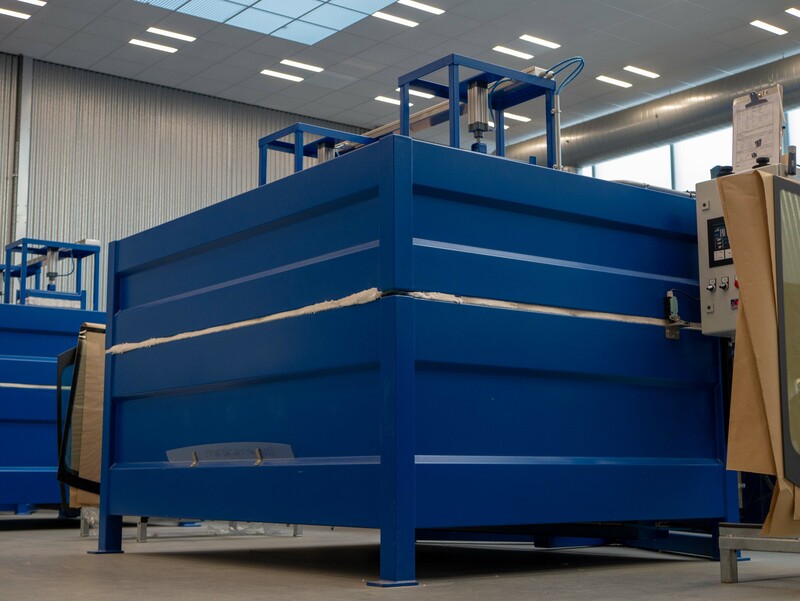 They can also perform tests regarding geometry (fit), light transmission, weather simulation, internal tension, electrical resistance of coating, Lab colour values and light reflection. This team produces all of the moulds necessary for bending windows. They achieve this through ‘old school’ welding or 3D milling. Milling measurement setups and the maintenance of our machines is also part of their job. DK has established a leading role in the area of automotive glass for prototype cars. We want to maintain and further expand this role. We do this by keeping a close track of the latest technologies. Moreover, we want to maintain the cooperation with suppliers of semi-finished products, so that we can keep developing new products continuously. Our services have made their way across Europe, and we have already taken our first steps outside of Europe too. Further globalisation is one of our goals as well. Three factors, which vary in priority, always play a major role in the development of car windows. Car comfort requires thick car windows. They improve the muffling of sound. However, the mass of glass, and with it the increase in weight, increases CO2 emission. Design is also an important theme in the car industry; the demand for bigger car windows is increasing. The demand for smart solutions to balance these three themes continues to increase. We will focus on this in the future. 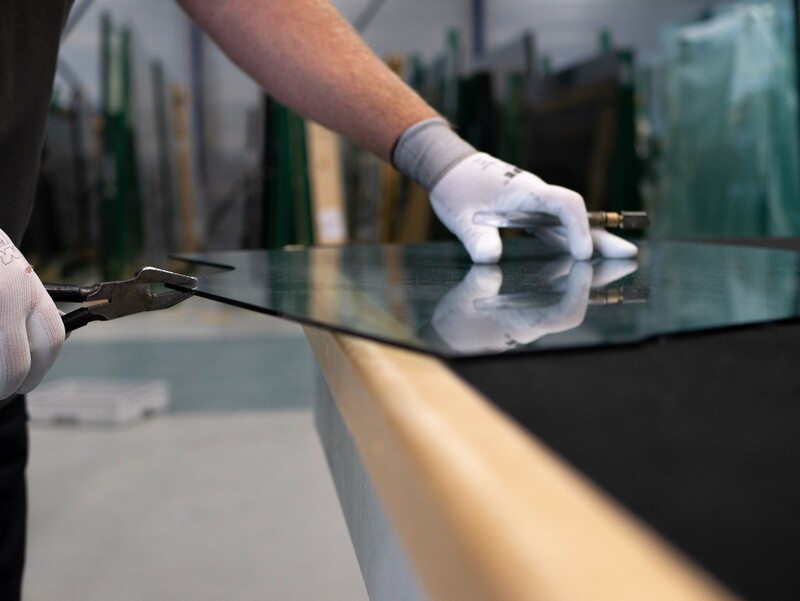 DK Prototyping for Automotive Glass started as a window reparation company in 1990. After two years Bart Driehuis took over the company from his stepfather T. Kreek and continued the family business. He started manufacturing flat glass in addition to repairing windows because of the growing competition. This proved to be a successful step. The demand for bent windows rose soon afterwards. The first bending oven was bought in 1996. When an employee of a sun roof producer had the front window of his old-timer reproduced, we were asked whether we could make roof panels. This was a completely different process, because not only did these panels have to be bent, but they also had to be hardened. Bart thought about how to deal with this for a while. A new oven needed to be designed and built to this end. Bart agreed with the sun roof producer that DK would execute four projects in order to finance the investments that were necessary to start this. DK started hardening 3D bent windows in 1998. The first project was such a big success that the same roof panel client asked us to produce the remaining side and back windows of the car as well in 2001. This marked the introduction of DK as a supplier in the automotive industry. In the years that followed, the automotive industry’s demands continued to increase. DK had to keep investing in the design of new machines and working methods. For example, in 2009 it became possible to make the full 3D shape of a window within the applicable tolerances of series production. Since 2010, we have been able to incorporate wires in PVB that have an antenna and a heating function. A revolutions-bend system method was developed in 2012. This method ensures that the quality of layered glass is so high that a combination with head-up display is possible. We altered some of our ovens in 2013, allowing us to bend IR reflecting glass as well. 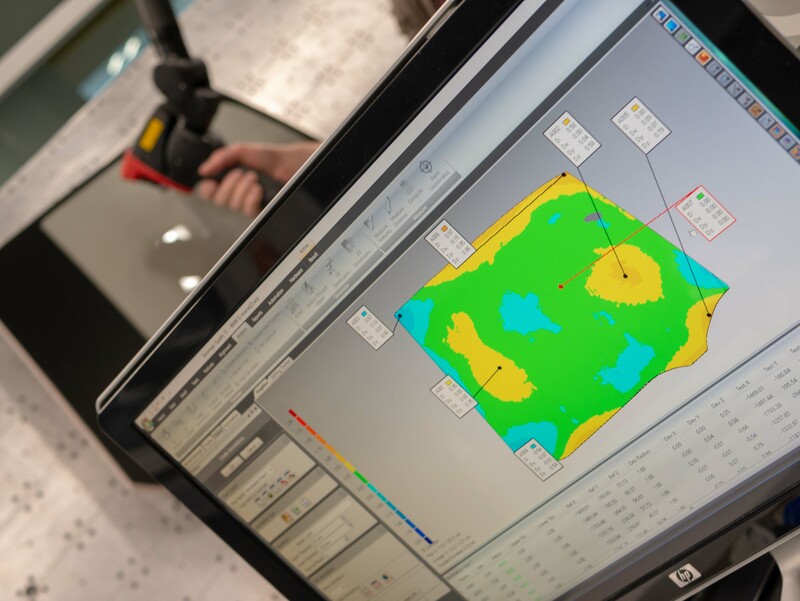 We are currently perfecting the production process of coated glass with soft coating, so that we can process it and remove the coating from the spots chosen by the customer. Our production capacity will also be expanded further. The same development is taking place in our staff. We have grown from 4 people in 2008 to more than 20 people in 2018. We expect to continue to grow to 30-40 people in 2020. In addition to the above-mentioned activities for the automotive industry, we still make windows for old-timers. Often times, windows will be available at first instance from the replacement market. However, there comes a point at which the number of windows delivered is no longer interesting to the suppliers. The production of a window is then discontinued. Sometimes a car is so rare and the original edition is so low that there has never been a replacement market. In these cases, DK can make a customised bending template, so that we can still reproduce a window. We can also reproduce both layered and hardened windows in flat glass. Do you have an old-timer and is your window broken? Please free to contact us for an offer without any obligations.